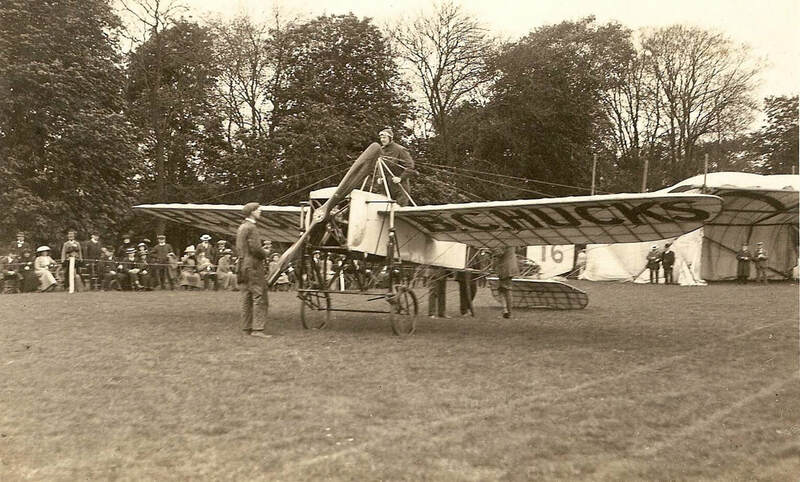 In 1913 Bartonsham figured in the early days of aeronautics in 1913 when Benny Hucks visited Hereford that September 1913 with his Bleriot XI, flying from Hereford racecourse and Bartonsham Meadows. 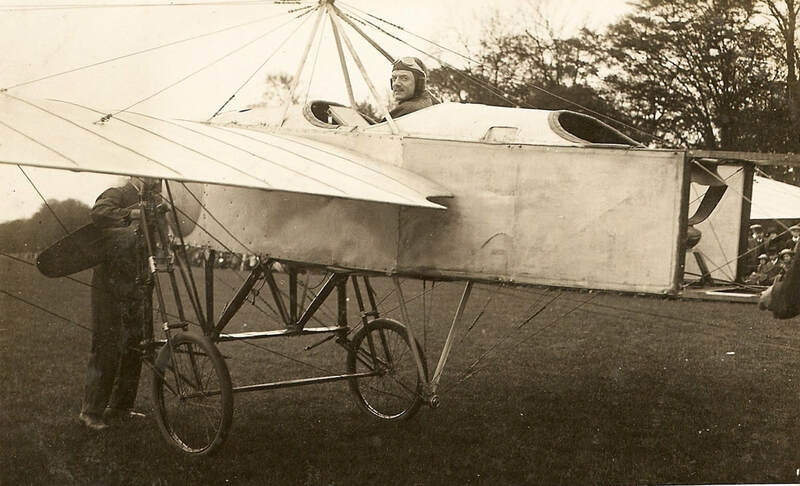 Hucks, writes Peter Klein, eventually signed up for the Royal Flying Corps on the outbreak of WW1, and served over the Front during the winter of 1914/1915, only to be invalided out when he suffered in the deep cold at altitude. For the remainder of the War he distinguished himself as a test pilot, with the rank of captain, only to die in late 1918 in the great flu epidemic. Had he survived, he would have been much better known in later years for his contribution to aeronautics. He was noted as a great communicator, and an outstandingly modest man.